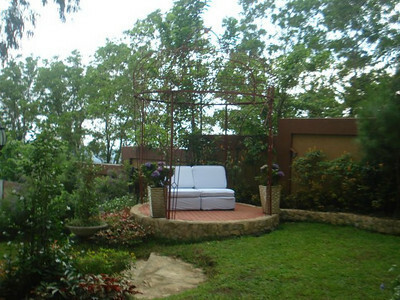 For those who are looking for a venue to hold a wedding, party or any social event in the Tagaytay area, we would like to offer Rosemont Gardens. It is conveniently located along the General Aguinaldo Highway, at Alfonso, Cavite, almost a stone’s throw away from Splendido and about ten minutes away from Caleruega. At Rosemont Gardens, guests can enjoy the fresh Tagaytay air and stroll along the gardens that have a picturesque view of the Taal lake. 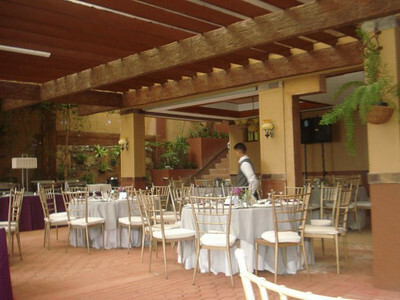 The covered reception area can fit 100 to 150 guests and may spillover to the gardens, should you have more. It also has a three-bedroom house where you or your guests can stay for overnight (or more!) accommodations. For inquiries, you may call Karla Fider-Santos at 0917-8527528 (Globe), 0922-8680116 (Sun), (02)3480116 (mobile landline) or email at rosemontgardens@yahoo.com. You an also check out their website at http://www.rosemontgardens.net/ and view the gallery there as well as send inquiries for packages. Directions: Take Aguinaldo Highway going towards Batangas. You will pass the rotunda and Mendez. We are about 1.1kms from the arc of Alfonso, Cavite, right across Ridgewood Heights, on the left side. If you pass Splendido, you already passed it. It is the house with the brown gate, yellowish beige wall. Rosemont Gardens is utterly perfect for intimate gatherings!